Turbinado sugar is the name for a type of natural brown sugar typically sold in the United States as Sugar in the Raw. Turbinado sugar, or natural brown sugar, differs from typical brown sugar in that commercial brown sugar tends to be manufactured by adding molasses to refined white sugar. By contrast, this natural brown sugar is created by partially refining natural sugar cane with a turbine. The name, turbinado sugar, refers to this process. This type of sugar, which often resembles dark sugar crystals, is often sold as an organic or natural product in grocery stores, specialty shops, online, and in other retail locations. The majority of this product is produced in the state of Hawaii and other tropical climates where sugar cane is most often cultivated. There are many ways to use turbinado sugar, from baking to sweetening your favorite hot beverages. Here are a few tips for using this great tasting natural sugar. Add a packet of this sweetener to a mug of hot tea or coffee. Many people prefer to use this type of sugar in hot beverages rather than cold because it tends to dissolve better in warm liquids. Use turbinado sugar in place of recipes that call for brown sugar. This includes main dish meals, sides, and especially baked goods. 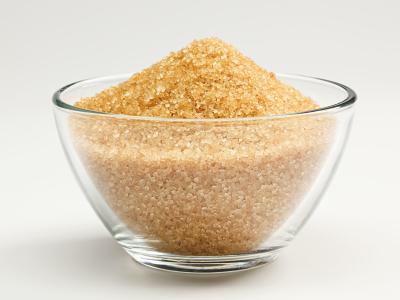 Replace regular refined white sugar with natural brown sugar. This adds a surprising depth of flavor to your cooking and baking. Consider making a delicious brown sugar cookie to draw on the flavors in turbinado sugar. Sprinkle this sugar over your morning cereals. This works especially well in a hearty bowl of oatmeal, in cream of wheat, and other hot cereals. Try it in smoothies for a unique sweet taste. 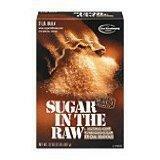 Companies like Sugar in the Raw often offer recipes and usage suggestions on their websites. Likewise, there are many online organic communities, recipe sites, and blogs that offer a wealth of resources for using this natural sweetener. Many people feel refined white sugar, which is used commonly in packaged products, baked goods, and in many commercial food products, is unhealthy and harmful. A lot of this concern has to do with the refining process. White sugar is fully refined, which means the body processes it quickly after consumption. This can lead to a blood sugar spike, leading to queasiness and headaches. Natural brown sugars, like turbinado sugar, are only partially refined, which means they are not processed as quickly by the body. Though it is processed more slowly, it is still metabolized the same way regular sugar is. This means that it is not necessarily a safe alternative for diabetics. There are a few other benefits that fans of natural brown sugar point to for their usage of this product. Colors and additives are generally not added to turbinado sugar. Likewise, it does not usually include any animal by-products. It is often certified kosher. Turbinado sugar is a great alternative to refined white sugar for those looking to consume a more sustainable and less processed product.